Fracking is an eloquent verb invented to animate the scientific term Hydraulic Fracturing, a process in which high pressure water-based toxins are pumped into shale rock in order to break it apart thereby releasing natural gas (aka methane, a green house gas over 20 times as potent as CO2) that placates our need to burn baby burn. Farcking on the other hand refers to the resultant upwelling of methane during a fracking session. It has been known to start fires when proper ventilation is lacking at the drill site leading to potentially explosive situations in the vicinity of the action. 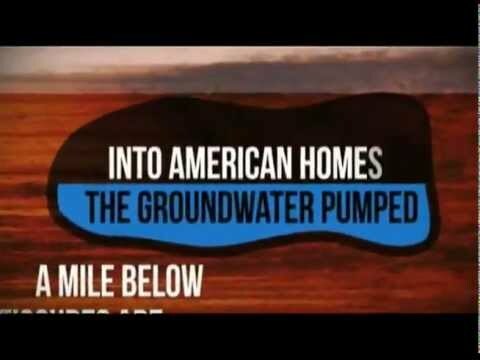 However, the silent killer everyone is talking about is the contaminated water finding its way out of the bowels of the site while a controversy surrounding the Gasland movies attempts to debunk any such concerns. Could this assault on director Josh Fox (Fox News Report) just be a propaganda campaign attempting to divert attention from the equally recent and controversial gag order (What The Frack?) imposed on two Pennsylvania kids, ages 7 and 10? I wonder if Range Resources Corporation, the company that owns the offensive fracking site in question, intends to have the children tailed by undercover hit men dressed as large inconspicuous squirrels just to make sure they don’t accidentally divulge the chemical ingredients of their secret fracking sauce. Would a high-rolling corporate lawyer disguised as a clown (whoops. I didn’t realized it wasn’t a costume) come knocking on their classroom door to serve the kids with a lawsuit for breach of contract? If the claims from fracking lobbyists are indeed correct and the one mile deep drill holes cannot possibly create toxicity in the surrounding water table and land, why the $750,000 settlement plus medical expenses for the children (should the need arise)? After all, how can you test for chemicals in the ground water when you don’t know what chemicals to test for? Just declare your fracking cocktail as a trade secret and you can serve it up to minors…no questions asked. Something smells fracking bad here and it’s not the methane. How about training your farm dog to take a fancy to butts smelling of greed and deceit? When the frackers come trespassing, Nikki gets a special treat. No dog you say? No worries. A groundhog will do. The golf course variety loves mischief so I am sure their farm cousins do as well. And if animals aren’t your thing, then gathering your family and spontaneously breaking into song might wierd the corporate “negotiators” out enough to leave you alone. Here’s one you could use.